LONDON—Richard Branson, billionaire founder of the Virgin group, has revealed he was targeted by a fraudster posing as Britain’s defense minister who tried to get him to contribute $5 million to a supposed secret ransom payment. “This story sounds like it has come straight out of a John le Carre book or a James Bond film, but it is sadly all true,” Branson wrote in a blog. 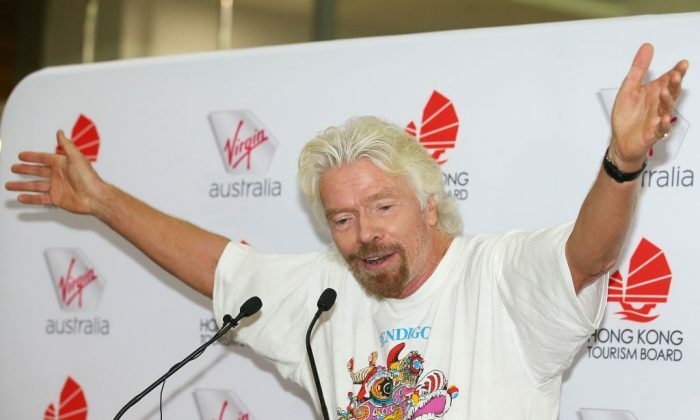 Instantly recognizable with his wavy blond hair and beard, Branson is one of Britain’s best-known businessmen. The Virgin brand is licensed for use by a range of businesses from airlines to train companies to telecoms and gyms. “I was asked to contribute $5 million of the ransom money, which he assured me the British government would find a way of paying back,” Branson wrote. “When the call happened, the conman did an extremely accurate impression of me and spun a big lie about urgently needing a loan while I was trying to mobilize aid in the BVI (British Virgin Islands),” he wrote. “They claimed I couldn’t get hold of my bank in the UK because I didn’t have any communications going to Europe and I’d only just managed to make a satellite call to the businessman in America,” Branson wrote. A spokesman for Fallon said he was aware of two attempts, one not involving Branson, to impersonate the minister for illicit gain, and Fallon’s office were assisting the police in their efforts to try to catch those responsible.